Organic Limes by the Pound. 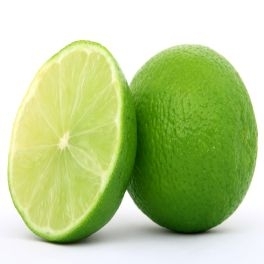 Limes are a small citrus fruit, Citrus aurantifolia, whose skin and flesh are green in color and which have an oval or round shape with a diameter between one to two inches. Beyond Vitamin C, limes contain unique flavonoid compounds that have antioxidant and anti-cancer properties.